That was how the villagers of Kodabarra reacted when Born Free’s Living with Tigers partner Tiger Research and Conservation Trust (TRACT) first approached them with the idea of installing toilets. 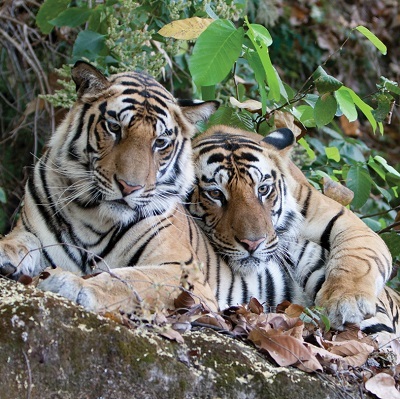 Kodabarra, in the heart of central India, is tiger territory. Situated in the buffer zone of Nawegaon-Nagzhira Tiger Reserve, its residents have adapted to live alongside the wildlife they share this beautiful part of India with. Despite this, incidences of human-wildlife conflict do occur – for example, when villagers enter the surrounding forests to relieve themselves because they don’t have toilet facilities at home. To persuade villagers that toilets were needed – not just to reduce human-wildlife conflict but also to improve basic living standards – TRACT had to explain that the toilets would be free as part of a government scheme. They would also be in outhouses completely separate from their homes. Fast forward four years and there’s now 30 villages with toilets in Nagzhira. TRACT tells me that toilets have been introduced in almost 200 villages around the six tiger reserves in Maharashtra state. The toilets are dry, meaning they don’t need mains water or a flushing system to operate. Built into an outhouse, they have an Indian seat (a pan fitted into the floor). The equivalent of a mug of water is all that is needed to clear waste material from the pan. A Y-shaped underground pipe connected to the pan leads to two soak pits where any waste material is absorbed. When a pit is full (usually after about a year), waste is diverted to the other pit. The waste material becomes fertiliser and is free from all bacteria within three to six months. In our luxury Western world, where many homes have more than one toilet, and public toilets are everywhere, they’re taken for granted. But visiting Kodabarra and meeting the people whose lives have been changed so dramatically by the introduction of such a simple scheme was humbling. Mitigating human-wildlife conflict has always been a key pillar of Born Free’s work. Schemes like this that also improve the livelihoods of those who live alongside wildlife show just how important this work is. Co-existence between humans and wildlife is possible if solutions are considerate and compassionate.